Bringing the best treatment and educational services into homes around the world. Thank you for your interest in getting started on our program! First, a little bit of back story. Since 1979, NACD has designed targeted individualized programs to address educational and developmental issues and needs through a model that trains parents and caregivers to provide hands-on interventions on a daily basis. The NACD model involves assessments, program development, and ongoing communication that can all be accomplished by appointment with one of our many national chapter locations or via Skype, video and email, making our best services very affordable. 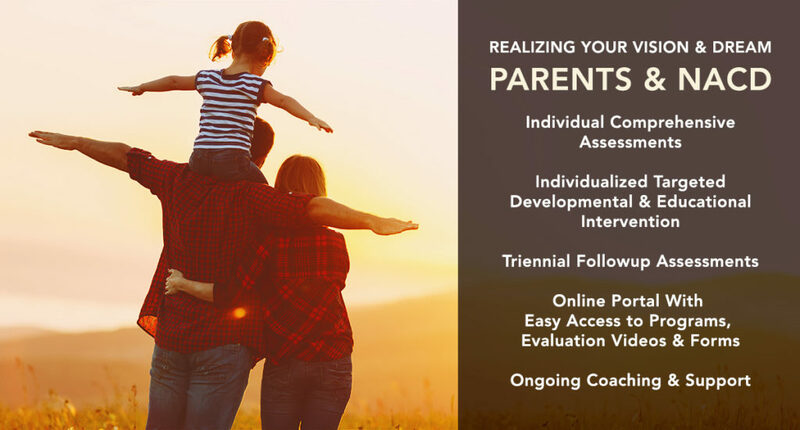 The NACD model of designing comprehensive individualized programs that are implemented by family and caregivers makes it possible for any family anywhere to take advantage of the latest and most advanced techniques currently available. In addition to providing comprehensive intervention, NACD also coaches and supports families in their implementation of the NACD program. We also help oversee and coordinate all services and interventions that the family is using in order to develop a cohesive treatment and educational plan. NACD is aware that families who have children with developmental issues are often extremely frustrated in their attempts to find services for their children that really work; services that provide their children with an opportunity to grow and advance. 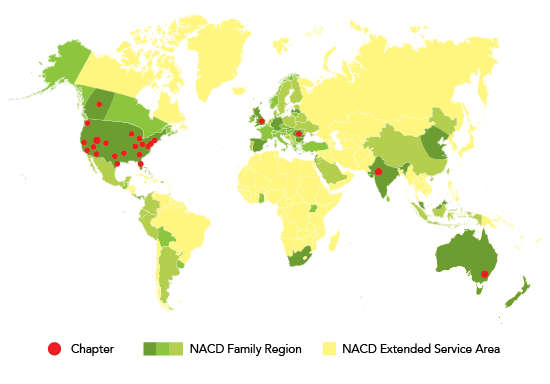 NACD recognizes that educational and therapeutic services in many countries are seriously lacking or even nonexistent. NACD believes in the unlimited potential of every child and the power of daily intervention provided by those who know the child best and who really care—the family. Assessments/evaluations are made on a triannual basis at our US, Australia, India, UK and Romania Chapters, as well as via Skype for all other locations. 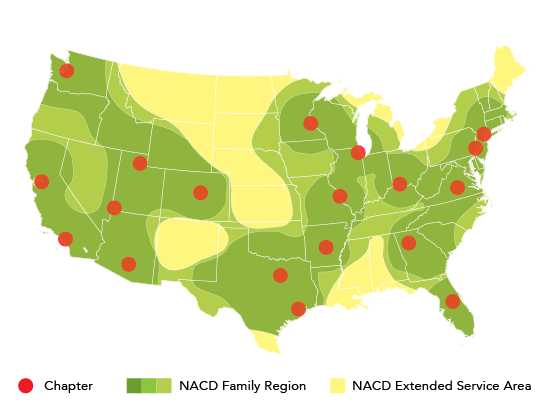 If you have any questions about availability in your area, please contact us at: info@nacd.org. Click the button below to enter your information, watch our introduction videos and proceed to the application forms. If possible, obtain a letter of endorsement from present and past NACD families. Download, complete, and submit a history/application during the Get Started process at the button link below. Return the completed application to our International Headquarters in Ogden, Utah. Email them to Pam at pam@nacd.org or contact us at 801-621-8606 for assistance. You will be contacted for an interview with one of our staff to review your application, to make sure you understand our approach, and to ensure you are in a position to implement an individualized program. We will also determine at this time if you need to provide any videos or further documentation prior to scheduling your initial assessment/conference. After your interview, you will be scheduled or placed on a waiting list for either an in-person, Skype, or telephone assessment/conference. After we receive your deposit (required), you will be scheduled for either an in-person, Skype, or telephone assessment/conference, within 1-2 weeks. Families are required to have an active email account while NACD program members so that we can stay in contact with you. If you would like to be better prepared to implement your program, and have all the tools you will need to succeed, we strongly recommend listening to our NACD Guide to Child Development seminar, available for purchase here. Visit the button link below to get started with NACD! During your assessment/conference, your child’s history and records will be reviewed, along with videos or other requested information. Through Skype video we will gather information from you and make observations and conduct tests with your child. Through this process we will develop a developmental profile/picture of your child, determine their needs, and then with your assistance determine goals, priorities, and a program implementation game plan. Based on the results of the assessment/conference we will create a targeted individualized program built around the time you have and assistance you can get to implement the program. NACD will also help supervise, advise, and coordinate any other services you may wish to incorporate. The program will be comprehensive, covering needed areas of gross and fine motor function, vision, hearing, speech, language, cognition, behavior, education, nutrition, etc. Your evaluator’s job is not just to determine issues and needs, but to draw upon our list of over 3,000 different activities and determine where everyone’s time and efforts are best utilized. To be successful is not about doing more, it’s about doing the right thing at the right time. For this reason your evaluator will also review your current interventions and provide recommendations. You will receive an email outlining your very specific program, including recommended frequencies and durations of activities, along with video and/ or written directions. We will also assign you a Coach to guide you through the entire process and serve as your primary link to the entire NACD staff. You will receive weekly emails from your Coach, letting you know when they will be available that day for calls or Skype contact. Your Coach or evaluator will be available at any time via email. We encourage very regular communication. After a couple of weeks of program implementation, you will video your child going through their entire program. We will review the video and make appropriate modifications. Based on our ongoing communications, your program will be modified as needed between triannual evaluations. Every four months we will conduct an in-person, Skype, or video/telephone assessment/conference, complete a new developmental profile, and with your guidance establish new goals and priorities and create a new program. 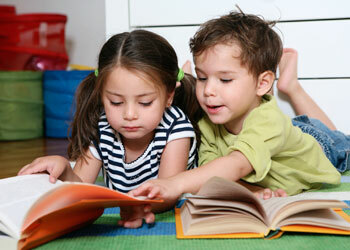 Together we can redefine your child’s potential and future.